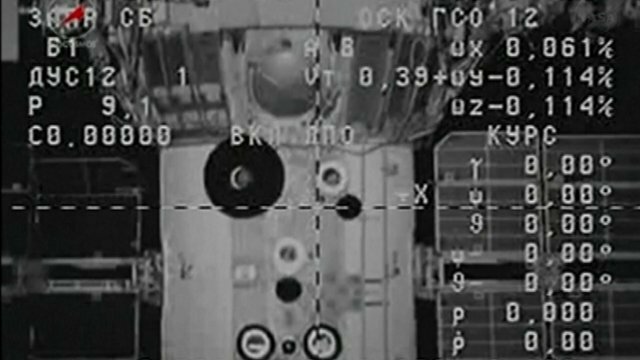 Russian cargo craft undocks from ISS Jump to media player Russian cargo craft, Progress 52, has undocked from the International Space Station. Inside space station training lab Jump to media player British astronaut Tim Peake shows the BBC's Pallab Ghosh around a detailed mock-up of the International Space Station's science lab. How do you train for zero gravity? 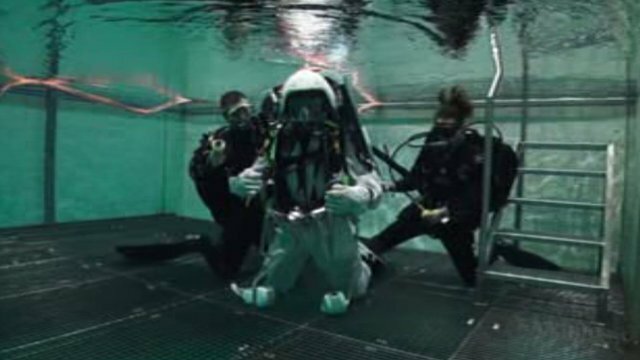 Jump to media player BBC science correspondent Pallab Ghosh speaks to British astronaut Tim Peake as he trains underwater to prepare for working in zero gravity. 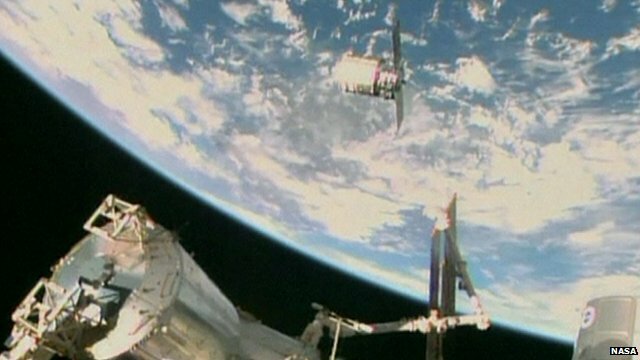 Supply vessel docks with space station Jump to media player An unmanned Cygnus cargo ship has arrived at the International Space Station with supplies and Christmas presents for the crew. 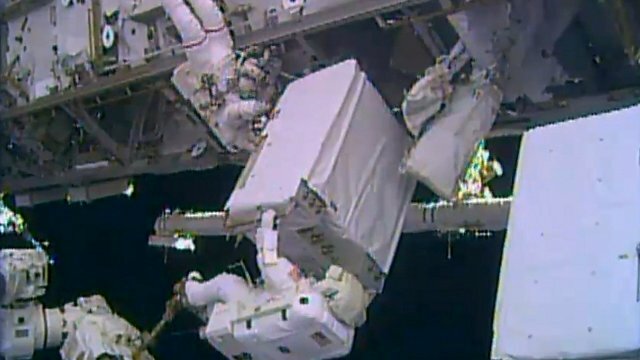 Astronauts repair ISS cooling pump Jump to media player Astronauts on board the International Space Station have successfully repaired the facility's cooling system during a seven-hour spacewalk on Christmas Eve. The International Space Station has a new commander. 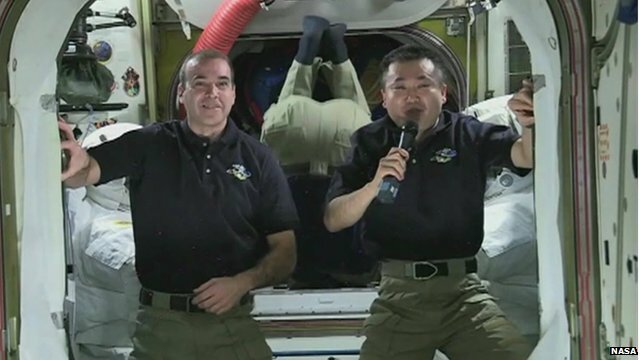 Koichi Wakata took over the reins during a ceremony on the ISS which was watched by ground control. 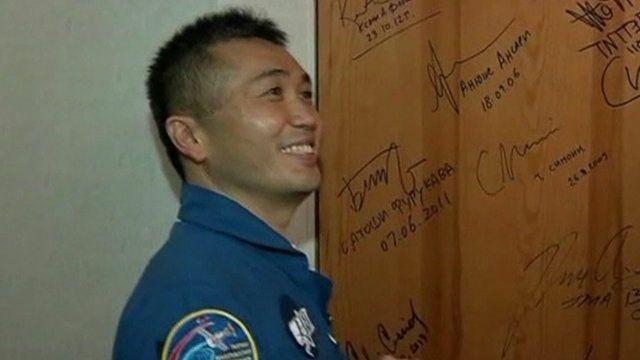 He is the first Japanese astronaut in history to take up the post.